Picture of the complex at the ocean end of Prospect Street. 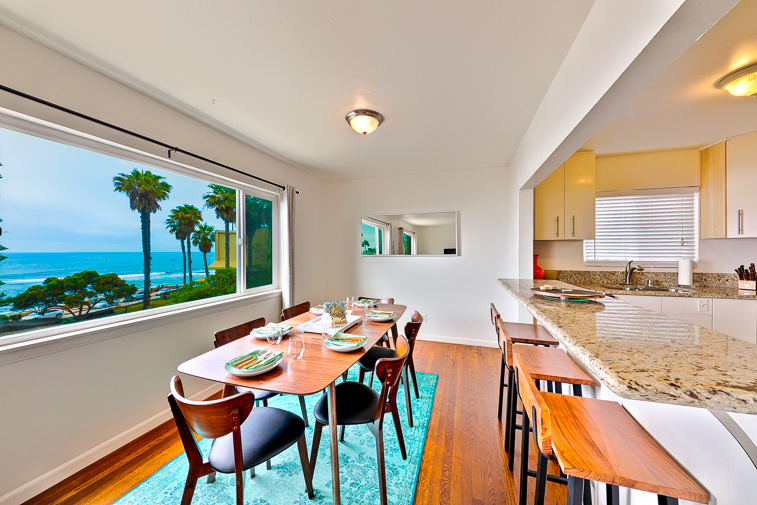 Sweeping views from kitchen and dining areas make seaside living real! 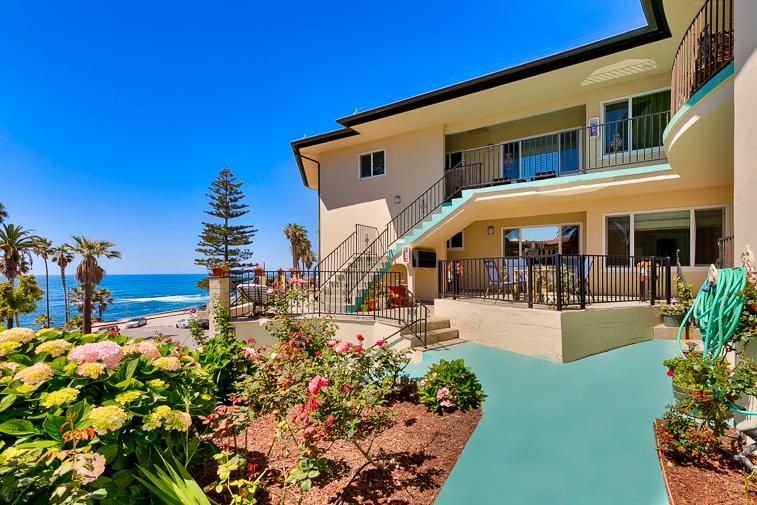 Location, location, location - Just a short walk from beach and featuring ocean views. . Dining for 6 with high-top stools at kitchen bar so everyone can eat together. 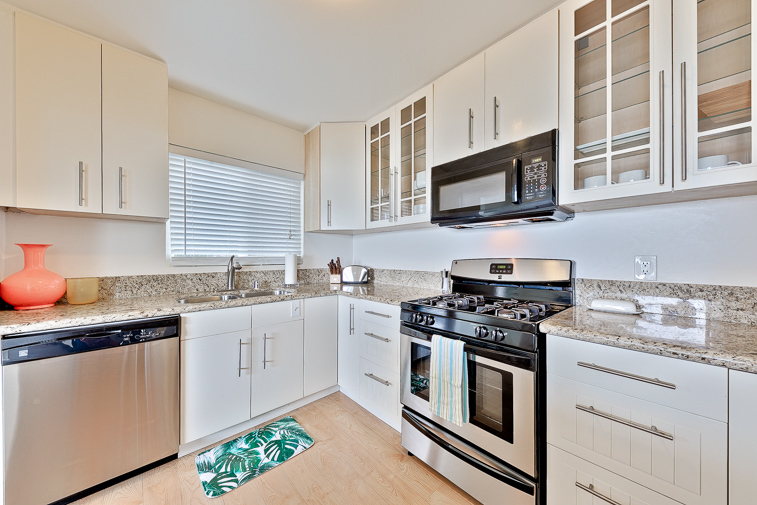 Thoroughly modern updated kitchen with everything you need to satisfy your culinary desires. 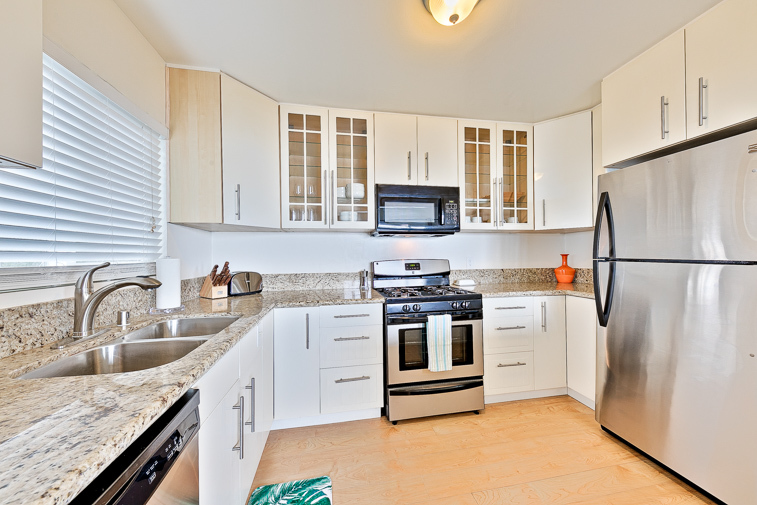 Kitchen with granite countertops and stainless steel appliances - a great backdrop for creating your snacks and meals. Sweeping views from kitchen and dining areas make seaside living real! Modern full bath with shower/tub combination. 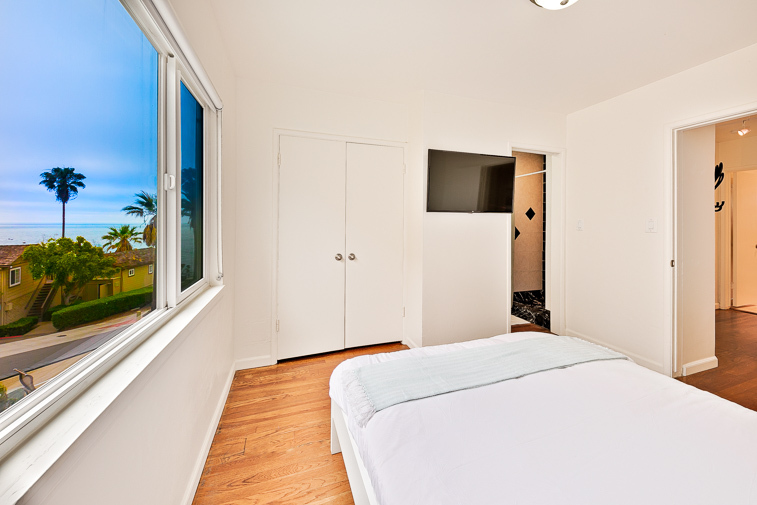 Wake up to ocean views or let the surf lull you to sleep. Queen bed with flat screen tv. 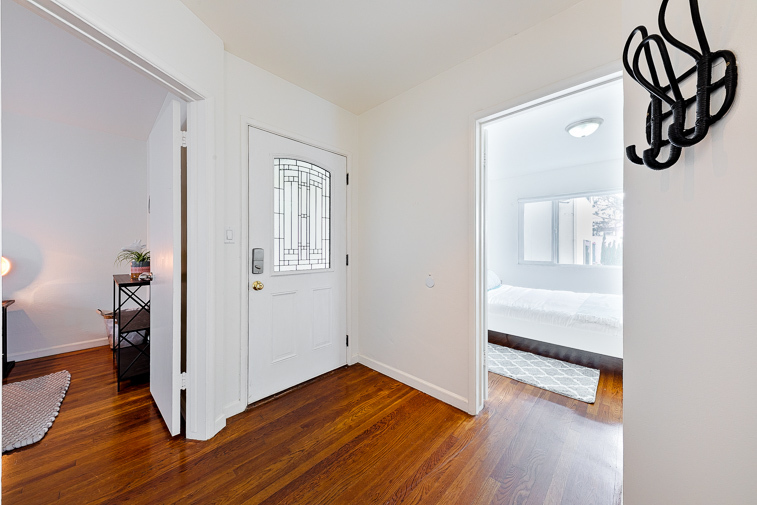 Entry into light, bright, well-appointed great room area. 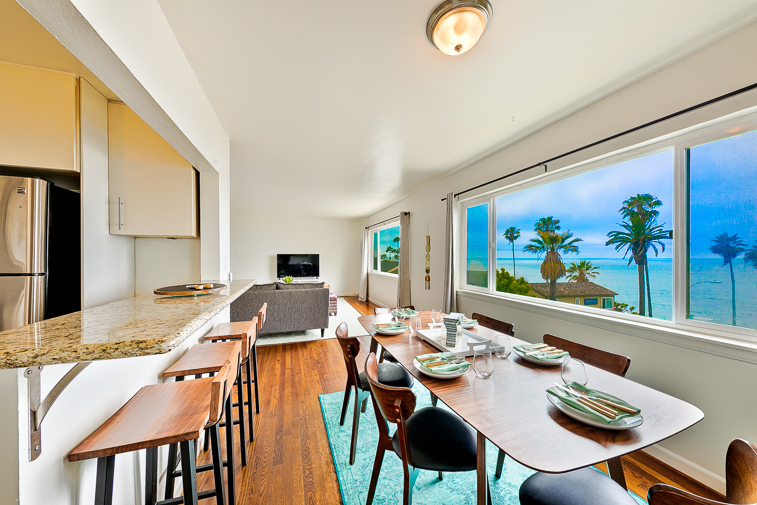 Expansive living rom with lots of comfortable seating, a flat screen TV, and ocean views. 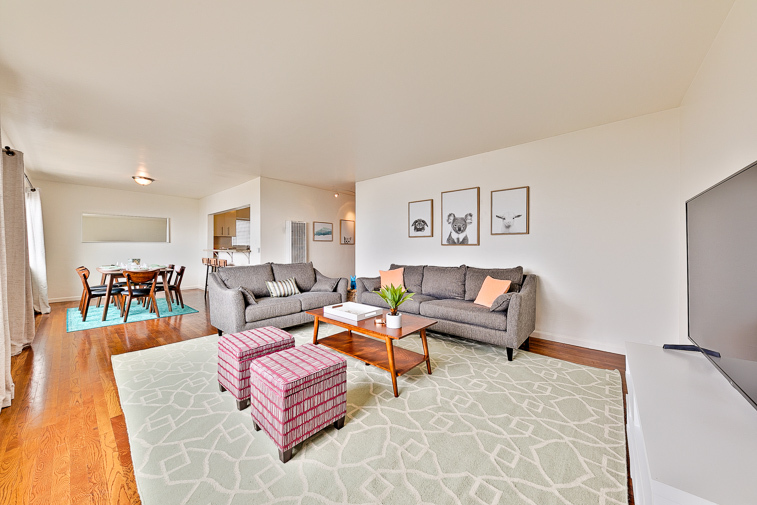 Lots of comfortable seating so you can enjoy the views, catching up with one another, or just plain relaxing. Chic decor makes the inside of this home feel clean and spacious. 1st queen bedroom with wall-mounted flat-screen TV. 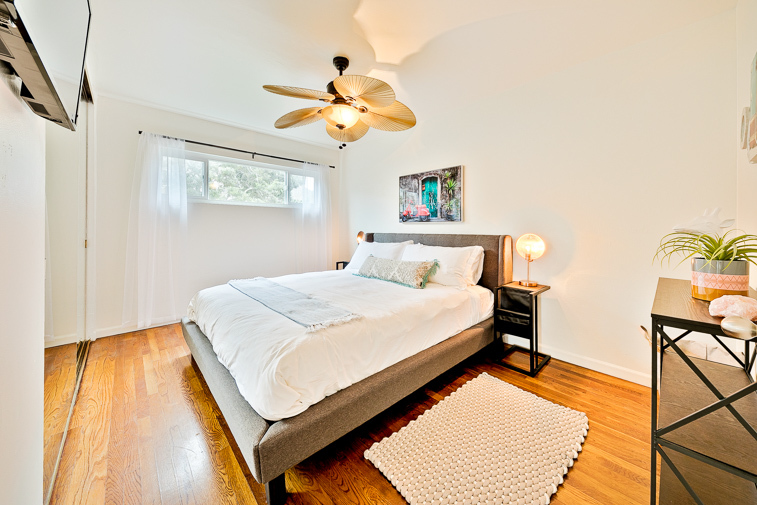 King bedroom with ceiling fan and flat screen TV. Light filled room with king size bed. 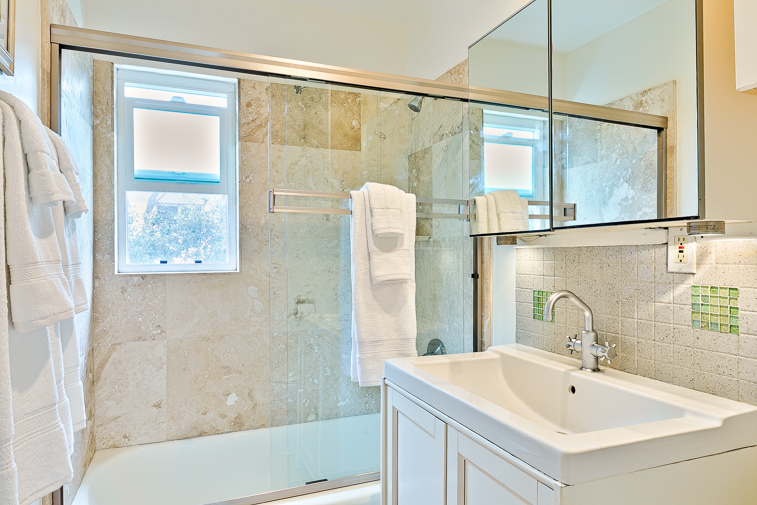 Bathroom with sink and shower Relax with a view - one of the many common areas. 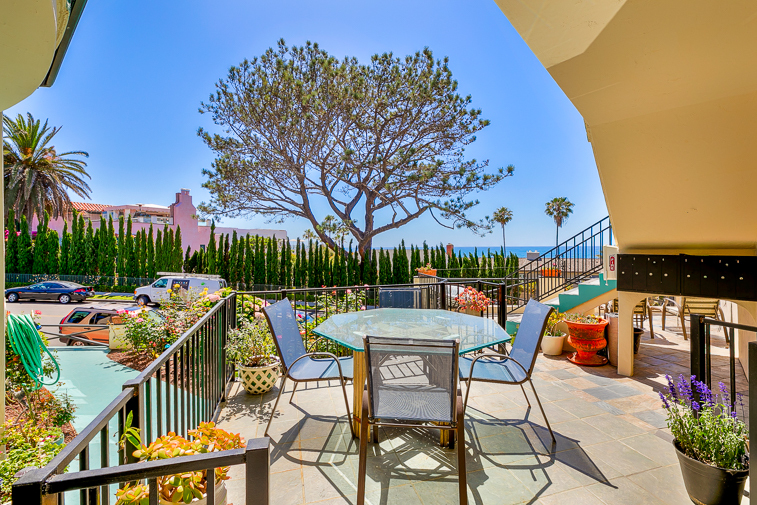 Ocean views from common areas of complex. 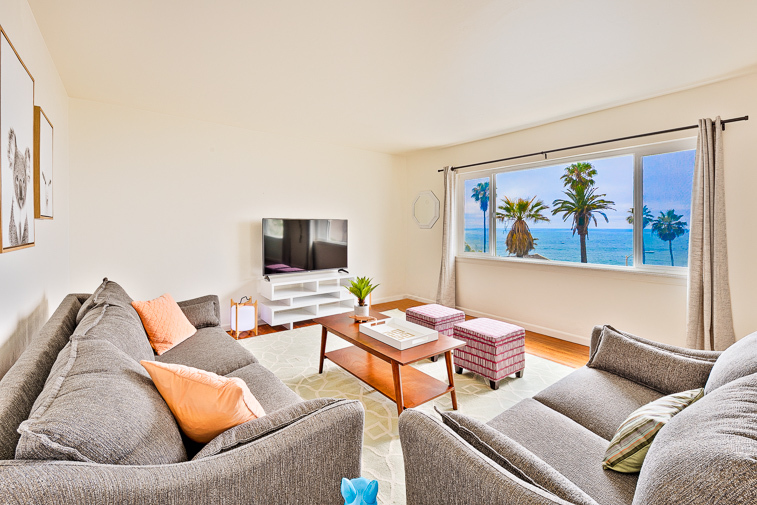 This oceanfront condo boasts incredible coastline and white water views, new furnishings, and plenty of natural sunlight from expansive windows. 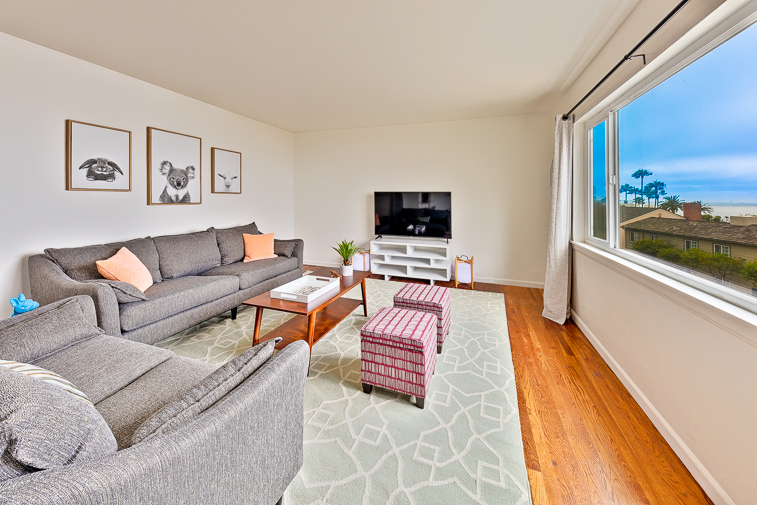 Located in the heart of La Jolla Village next to the Museum of Contemporary Art, it sits in an ideal location just a short walk to the abundance of fine dining, upscale shops, art galleries, museums, and spas. 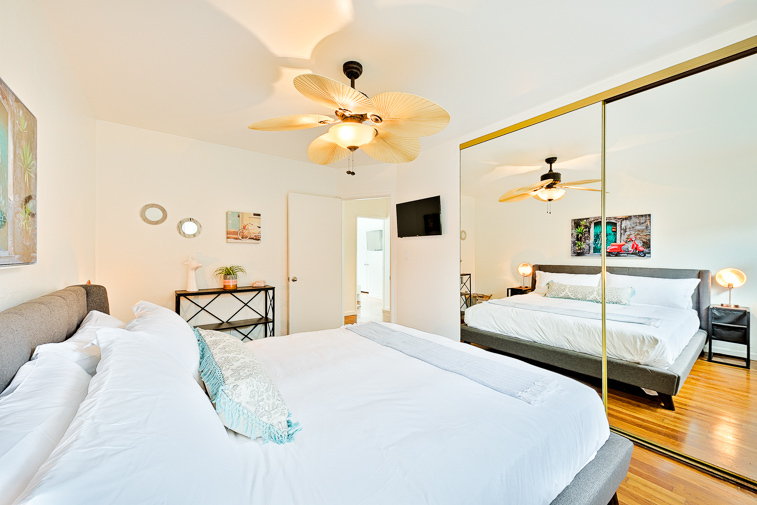 This 2nd floor 1,000 square foot 2 bedroom, 1.5 bath haven with incredible white water and coastline views is the perfect getaway for a small family or two couples vacationing together. 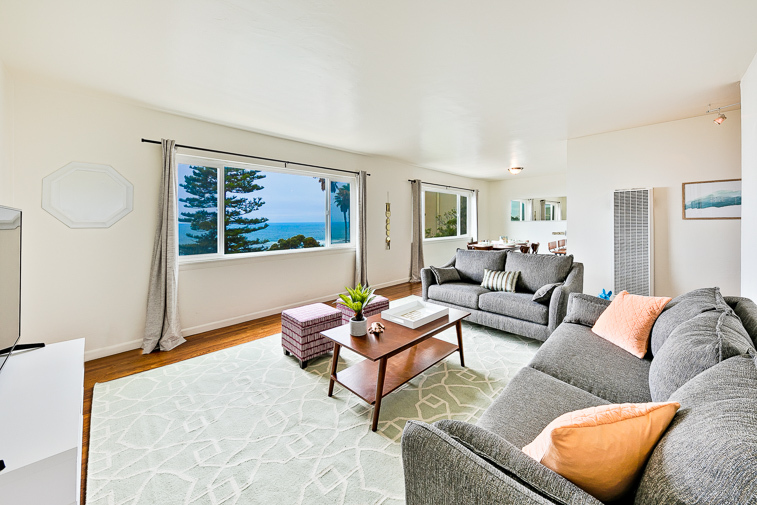 An expansive great room with ocean views welcomes you with a living room area that has a large comfortable sectional couch and a large flat screen TV for your enjoyment. Just turn your head slightly while watching TV and you can take in an ocean view with palm trees waving in front of it. 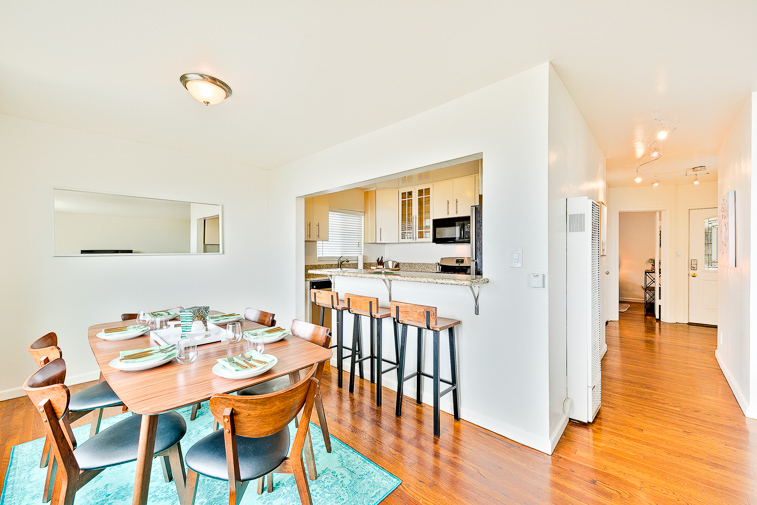 A modern well furnished kitchen with granite counter tops has everything to meet your culinary needs including a kitchen bar with high-stop stools so everyone can eat together. All you need do is add the food and the fun. 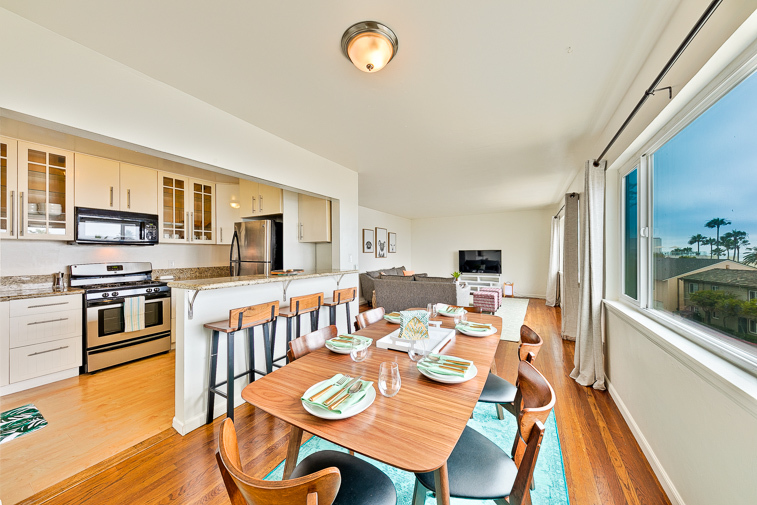 A dining area for 6, also with an ocean view, completes this spacious great room area. 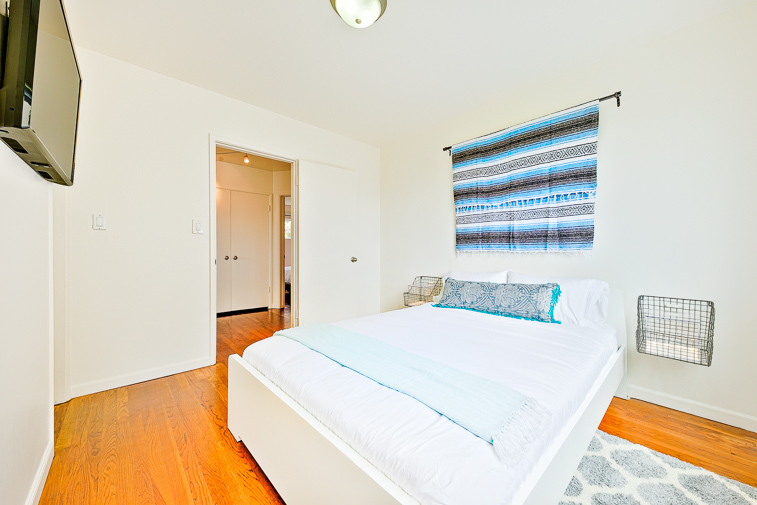 There are two bedrooms, one with a king bed and the other with a queen bed. 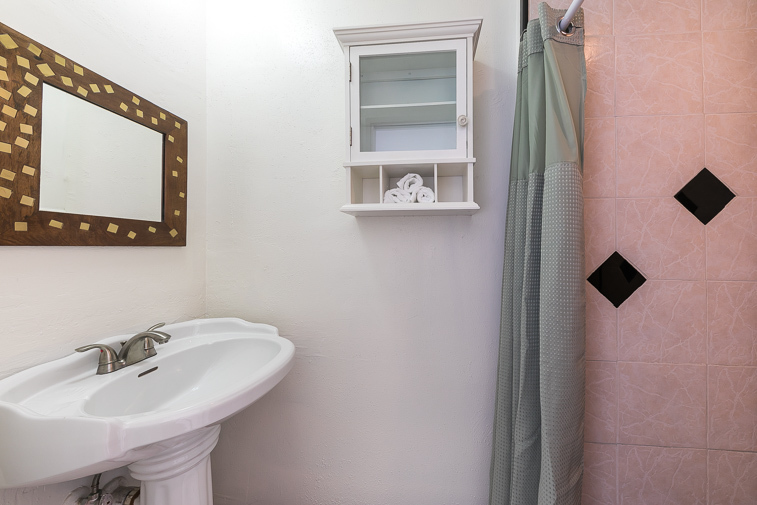 A shared full bath with a shower/tub combination is accompanied by a 2nd half bath. 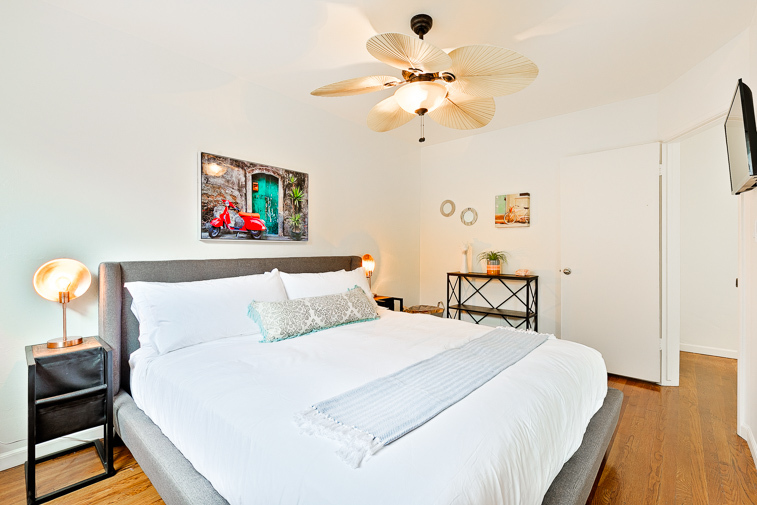 And of course all bed and bathrooms are furnished with premiere linens for your ultimate comfort. This home comfortably sleeps 4 in beds. This home also has WI-FI and cable. There is only street parking available at this unit. Come enjoy this seaside retreat - and create beautiful memories along the way. 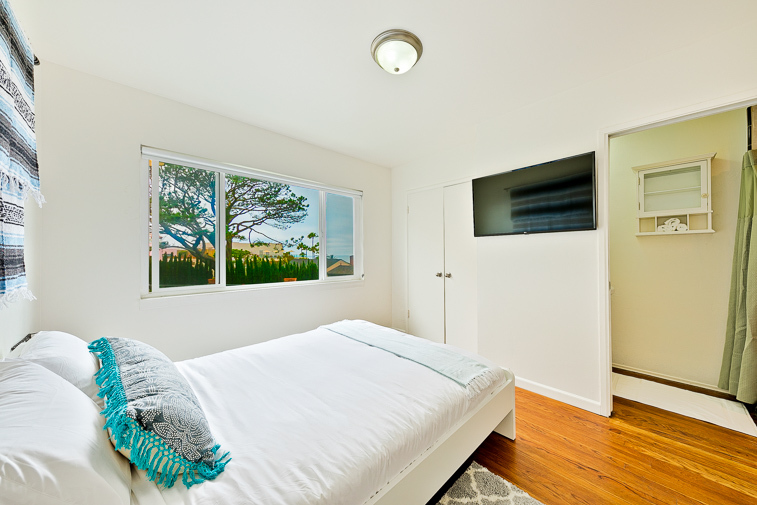 Its location on the ocean with sweeping ocean views and lots of ways to enjoy some of the most beautiful beaches in the world - swim, surf, walk along the cliffs. 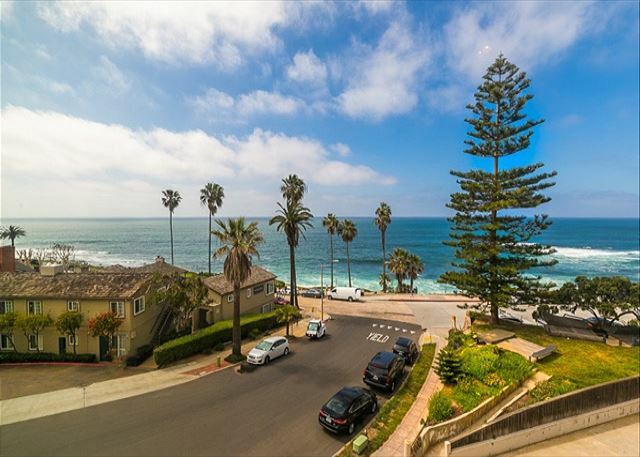 La Jolla Village is famous in its own right - and you are just a short stroll away from all it has to offer! 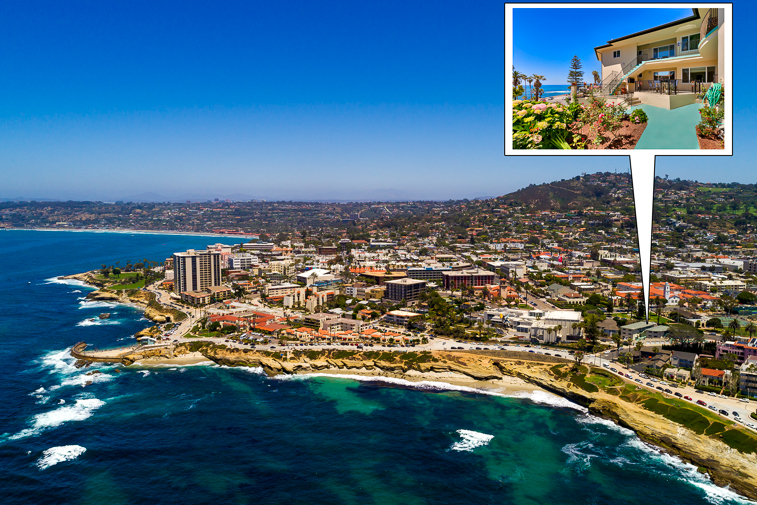 It is comfortable and easy so you can spend most of your time enjoying La Jolla and the rich, varied, greater San Diego area for your day’s adventures. 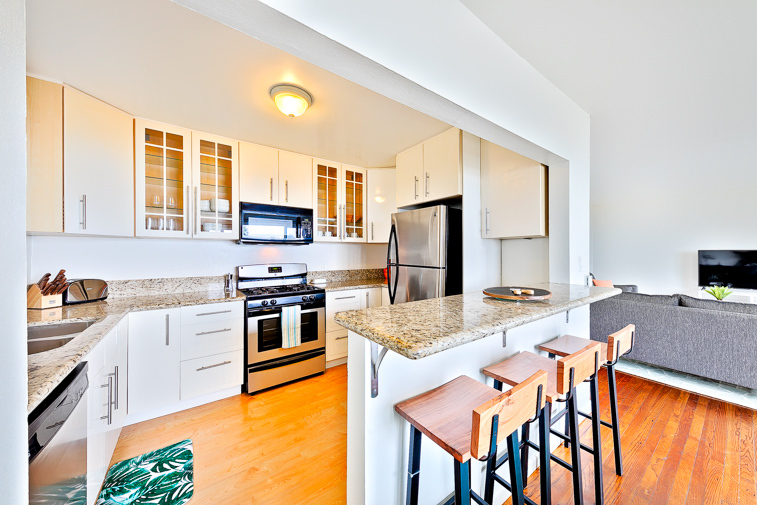 This unit is located in a complex with multiple units. All spaces within the complex, such as the BBQ, patios, and laundry areas are communal. As a reminder, all pets must be kept on a leash and in the presence of their owner if they are outside an apartment unit. I loved the the convenience of being able to walk to the beach within 1 minute from the beach and the view well it was breathtaking and especially when the sun goes down. You can hear the ocean in the morning and at night such SERENITY. I would definitely recommend this place. - Reviewed By Kathy F.